Spa scented candle for beautiful, bright and nourished skin. Is there a spa in the house? 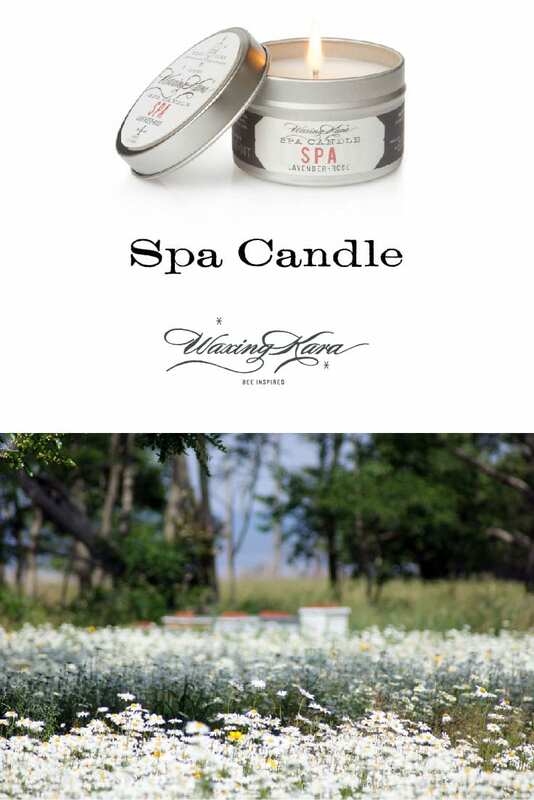 Waxing Kara’s Spa scented candle features a custom blended Spa scent of lavender, geranium and rose. Designed to brighten, provide aromatherapy and warm your body with nourishing oil for dry skin. Some call this a massage candle. Our customers call it heaven. 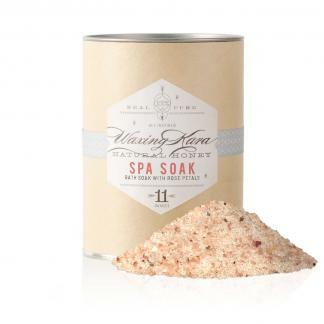 Try it with Spa Soak, Spa Scrub and Spa Butter. 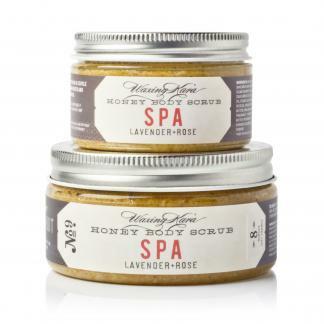 When melted, Spa Candles will provide a rich warm moisturizing oil for very dry skin areas. Your heels, elbows, and hands will never feel better! For best results, use after a bath or right before bedtime. This Spa scented candle provides serious moisture and a warm, relaxing rose and lavender scent. Who it’s for: For seriously dry skin. Fragrance: Warm, relaxing rose and lavender. Directions: Light candle until a puddle of oil melts. Blow candle out. Pour onto your hand and apply to dry skin. This spa candle is meant to be used as a body oil not as a regular candle. CAUTIONS: Do not leave burning candles unattended for more than one and a half hours. Please Do not trim wick. External use only. Discontinue if irritation occurs. Store away from light and heat. Free of phthalates, parabens, sulfates, sodium lauryl/eth sulfates, and artificial colors and fragrances.